Demand for mobile apps continues to skyrocket due to the proliferation of smartphones. In the mad rush to launch mobile apps and grab market share, businesses often make serious mistakes, especially as a result of partnering with inexperienced or incompetent development teams. Here are some of the most common pitfalls we’ve seen in mobile app development. One of the biggest risks in mobile app development, particularly with freelance developers or small teams, is that the client lacks visibility into the project once it’s underway. When the product is finally delivered, it’s abhorrently off the mark, and the client has wasted a lot of time and money. How CitrusBits prevents this: No “grand reveals” – we provide our clients with line of sight to the work-in-progress product through new builds that are shared every two weeks. Additionally, we work closely with our clients at the very beginning to define a realistic and achievable scope for version one of their app, onto which additional features can be layered for version 1.1 and beyond. An app might be aesthetically wonderful, but if the user interface and user experience don’t resonate with target users, the app will not be successful. As a simplistic example, if you’re creating a photo editing app for millennial users and your app doesn’t provide social sharing options for user-generated images, your app could be doomed from the start. How CitrusBits prevents this: We spend extra time upfront to understand your users and their needs, in some cases providing a separate product strategy engagement (PSE) that focuses on defining a winning product and creating a product roadmap. We perform user research and usability testing to inform and validate our design decisions, recognizing that we cannot allow our personal preferences to bias our design decisions. When building an app, there can be technical blockers that can come out of nowhere, such as when a developer doesn’t know how to code a critical piece of functionality. These blockers can prevent the app development from progressing if developers can’t find appropriate solutions. How CitrusBits prevents this: We have a deep bench of more than 50 developers that collectively have hundreds of years of experience and expertise across all platforms, including emerging tech like Augmented and Virtual Reality (AR/VR), Artificial Intelligence (AI), and the Internet of Things (IoT). We’ve built hundreds of apps with functionalities that include ecommerce, geolocation/mapping, video/audio streaming, payments, ERP integrations, Point-of-Sale integrations, social/sharing, messaging, and gamification. Virtually no technical challenge is insurmountable for our team. Every software product has bugs at one point or another, but it’s how you address the bugs that matters. Some developers don’t pay attention to QA testing until near the end of a project, at which point “fixing” one critical bug could cause another dozen to appear. How CitrusBits prevents this: We do QA testing throughout the development cycle, hunting for and squashing bugs as soon as they are reported. We also create and use detailed test plans to maximize the impact of our QA testing. Our QA engineers use manual and automated (script-based) testing to identify bugs. As a result of these practices, each product has already been tested extensively by the time we’re even considering submitting an app to the App Store. 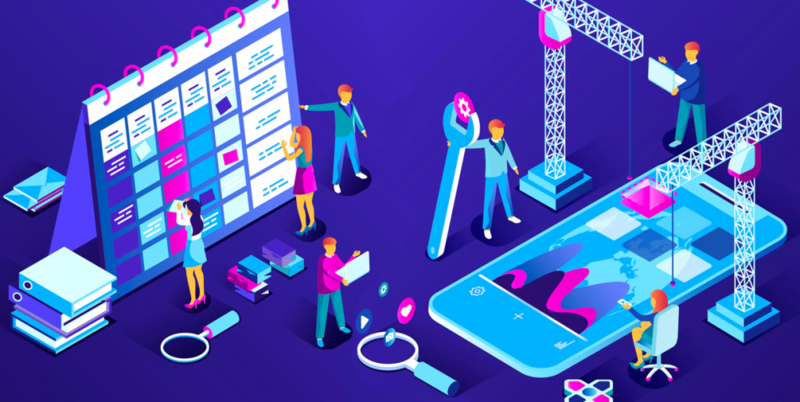 Mobile apps require extensive collaboration between the client, designers, developers, testers, project managers, and other project team members. Any breakdown in communication can cause significant delays and even jeopardize the project. How CitrusBits prevents this: We build in regular feedback loops through weekly meetings (calls, onsite meetings, and video conferences), Basecamp, JIRA, Slack, and other collaboration tools/processes. Our internal teams have stand-up meetings several times each week to ensure timely completion of sprint deliverables. Additionally, every client has a primary point of contact for any and all issues, for whom a key priority is keeping project delivery on budget and on time. If you’re working with a mobile app developer that is presenting difficulties in any of these areas, we’d love to help put your project back on the right track. Get in touch for a free consultation to explore how CitrusBits can help.